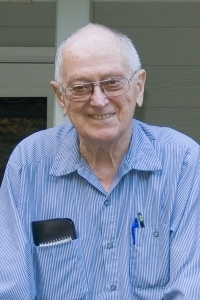 Robert Marsh Harvey passed away on Friday, June 8 this year. He is survived by his wife of 64 years, Mabel Marie Stout Harvey, and many loving family members. After serving as a radio technician in San Diego, CA during World War II, Bob returned to civilian life and a career in radio and television. For many years he was devoted to service and advocacy for SAHC — clearing trails, “bashing” briars on the mountain balds, leading hikes and creating an informational tailgate display at Carvers Gap. “Bob was born in Danville, VA, and his wife Mabel was from Newland, NC. When I got to know him, they were living in Florissant, MO, and would come to Mabel’s home place in the summers. Bob loved Roan Mountain and jumped into volunteering for SAHC in any way that he could. Grassy balds management began in 1988, initiated by the ATC Konnarock Crew, supplemented by SAHC and the Tennessee Eastman Hiking and Canoeing Club volunteers. 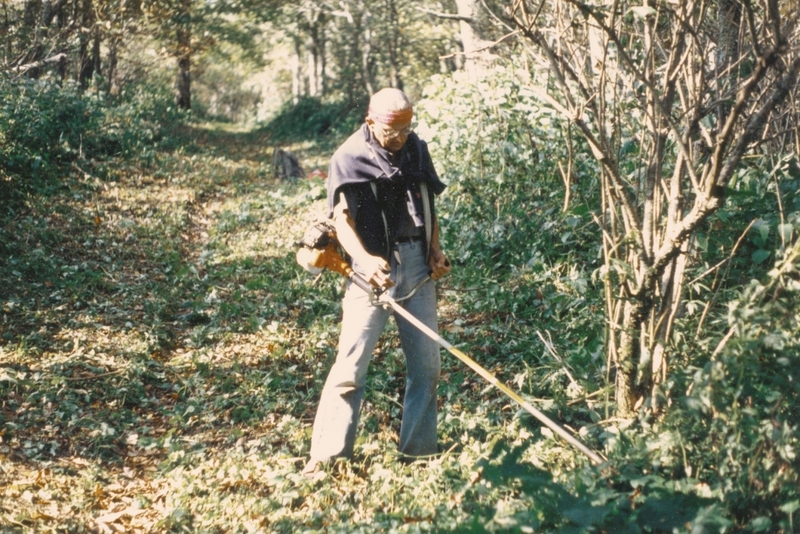 When the Konnarock Crew gave up the work in 1993, Bob formed his own crew which he named Bob’s Briar Bashers, hand mowing invading blackberries on Round Bald with weed whackers several times a season for many years. He also initiated the geo-referencing and mapping program of annual balds management. He kept meticulous records and donated mowing equipment to SAHC. Bob would meet other volunteer crews with cold drinks when they came off the mountain, and he was the first person to recommend the BRIDGE crew as balds management partners. When Stan [SAHC founder Stanley Murray] died, Bob offered to come in from Missouri to help in the office in any way he could. He recorded music tapes for the staff and wrote letters of condolence and support to each Board member.